Amidst the ongoing debate on the parameters and extent of the Second Amendment, there is some troubling news that the assault weapons banned (first passed in 1994 and allowed to expire in 2004) still does not have enough votes to make it to the floor of the Senate. Furthermore, many gun makers are having trouble hiring enough people to manufacture the increase in demand for guns and ammunition. 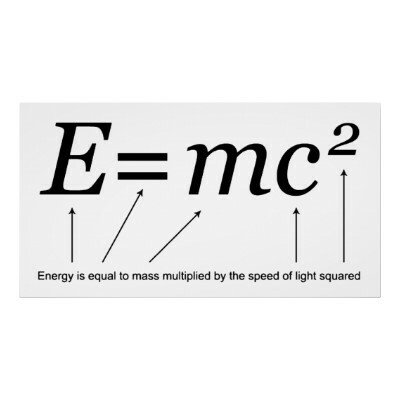 Light, whose speed is the key factor in relating energy to matter in the equation above, can also be considered both as a wave and a particle. So what first appears as a dichotomy is actually two states of similar source, or two sides of a coin, if you will. The question I have: which is more powerful? 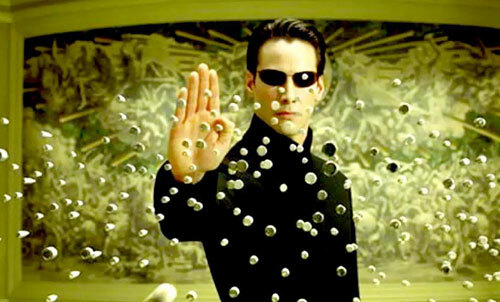 Can energy/flow/waves ever stop matter/particle/bullets, a la Neo in The Matrix? Granted, this was in a computer program and not in the "real life" sequence of the movie, but the guy does stop the sentinels somehow in "real life" at the end of Matrix:Reloaded! Anyhow, I do wonder about the power of guns and how do we stop violence. I would like to learn and train more in the nonviolent arts of Qigong andTai Chi, tapping into the energy source behind and in all matter we see and experience. There's some pretty cool videos that show how powerful these guys can be! Now isn't that cooler than bullets, if not the way out from violence? Maybe we can't stop bullets physically once they're fired, but there's a lot of training we can do (and energy we can tap into!) before someone pulls the trigger. May we beat swords into plowshares with our minds, hearts and hands.